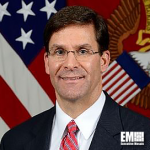 U.S. Army Secretary Mark Esper has said he is open to the idea of allowing foreign companies to participate in a program to develop a next-generation combat vehicle for the service branch, Defense News reported Monday. “As I think about a next-generation combat vehicle, we should look at our allies, and look at their designs, and look at how they’ve built combat vehicles and combat systems, and think about adopting some of those,” Esper, a 2018 Wash100 recipient, told reporters Monday at the Army Europe headquarters in Germany. Esper, who assumed his current post in November 2017, noted that foreign firms may consider teaming up with U.S. companies to submit their design entries into the NGCV competition. “We want to buy best of breed, but I have to be conscious of the U.S. defense industrial base as well,” he added. 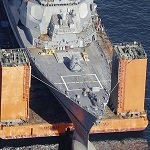 His remarks came four months after the Army awarded a potential eight-year, $237 million contract to an industry team led by Science Applications International Corp. to build two prototypes for the NGCV program. The industry team consists of Lockheed Martin, GS Engineering, Moog, Nevada Automotive Test Center and Roush Industries.